Last night was the final installment of Office's monthlong Monday-night residency at Schubas. (One of my bands played too.) They've been picking a different theme for each show, like playing an all-acoustic busker-style set or running through their records front to back. 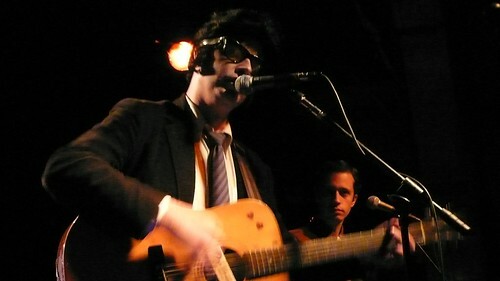 For their last one, they indulged in a little hero worship and pre-Halloween dress-up for a tribute to Roy Orbison. They played his songs extremely well, but it would be hard for any performance to outshine Scott Masson's Roy wig.